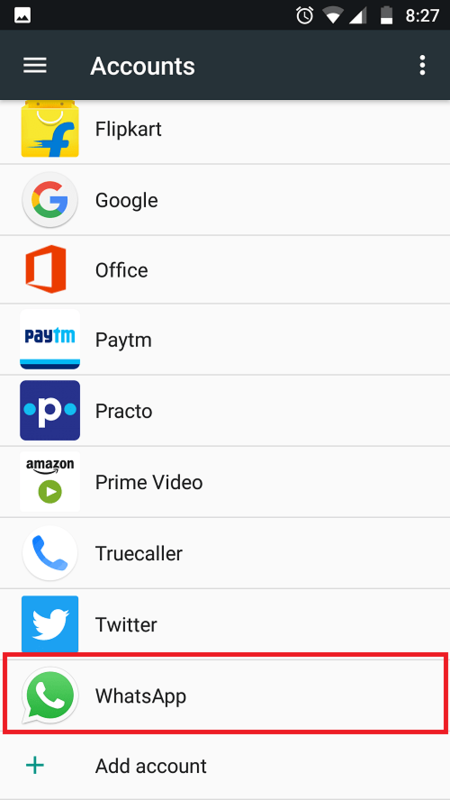 All of a sudden, WhatsApp shows numbers instead of contact names on Android. Fortunately, there’s a fix for it and this tutorial explains how to get rid of numbers from chats and call lists. 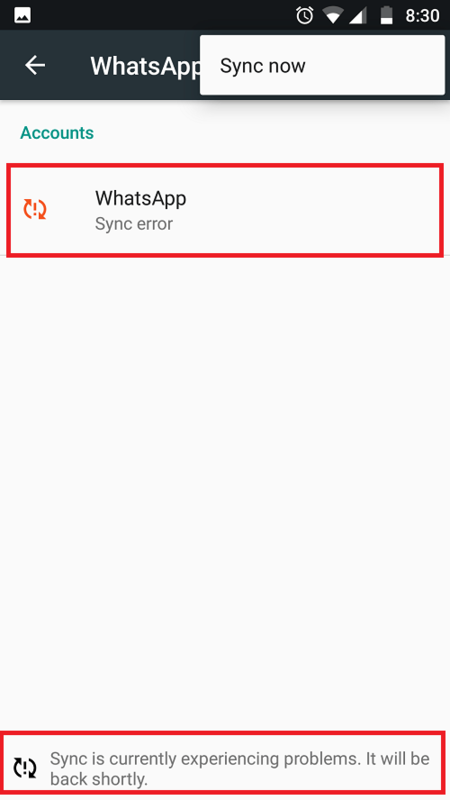 In most cases, the issue might be because of WhatsApp sync error or due to insufficient app permissions. To confirm what caused this issue, follow the below steps. Step 2: In the Accounts screen, tap WhatsApp. Step 3: Check if WhatsApp Sync is experiencing problem. If yes, tap three vertical dots at the top right corner of the screen and tap Sync now. Step 4: In the Sync screen, ensure Contacts is synced. 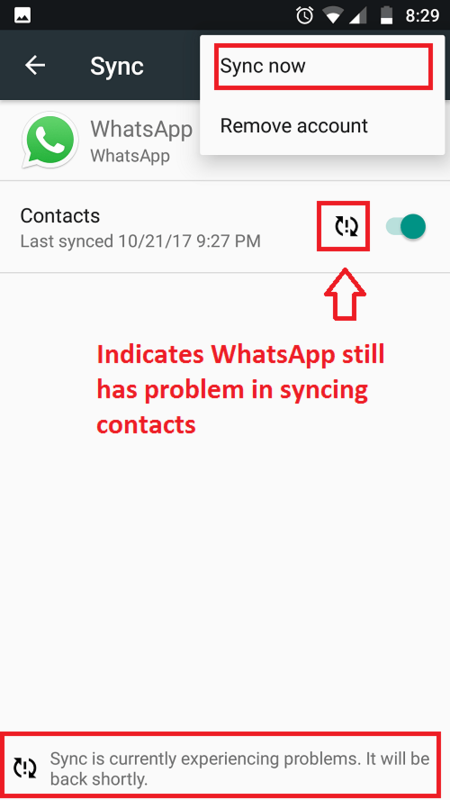 If not, enable Sync to see if WhatsApp syncs contacts without any issue. Look out for “Last synced” text with current date below Contacts. For some reason, if WhatsApp is not able to sync contacts, then you should see a message at the bottom as shown below. In such cases, you may try “Sync now” from the menu. Still see sync error? You may need to “Remove account” by tapping the menu at the top right corner of the screen and add it again. If you don’t see Sync error, then you NEED NOT remove your account and you may check if the problem is resolved. 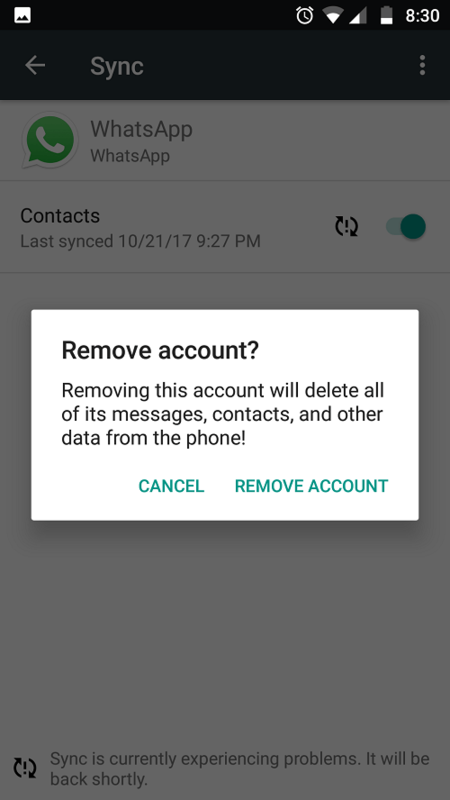 Removing the account might delete all of its messages, contacts, and other data from the phone! So, please do this step at your own risk and Techglimpse is not responsible for any data loss. Step 5: Add WhatsApp account again through the Settings app > Accounts > + Add account. 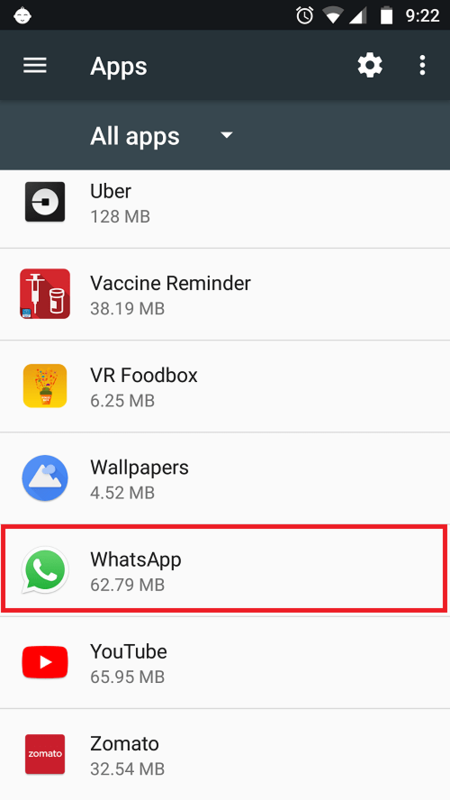 In the ‘Add account’ screen, tap WhatsApp. Step 6: After adding the account, you may check WhatsApp sync again. 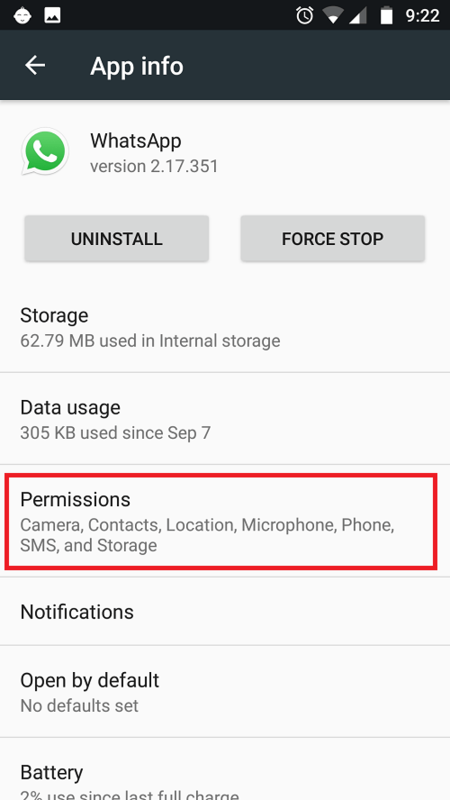 If the problem still persists, then you need to check app permissions. To do that, follow the below steps. Note: The below steps should be performed only if the above steps didn’t work for you. Step 2: In the App info screen, tap Permissions. 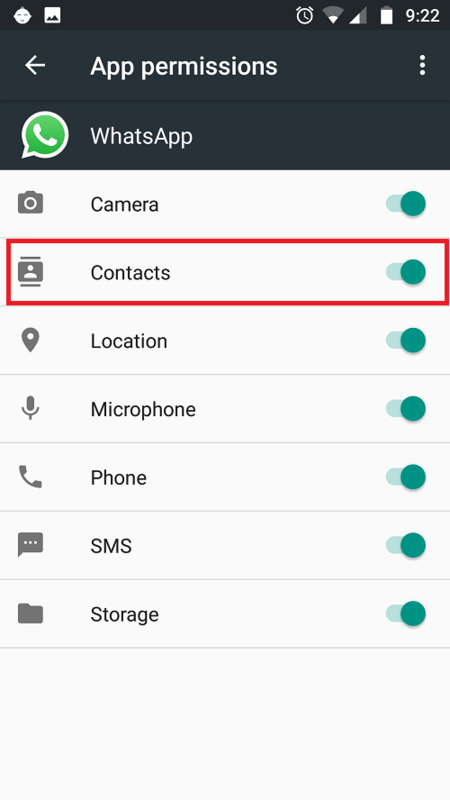 Step 3: In the App permissions screen, ensure WhatsApp has permission to access Contacts. That’s it! 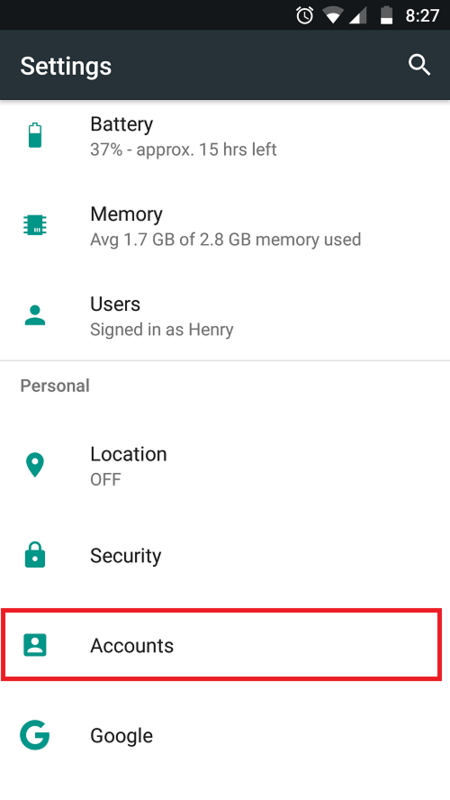 Now your device has permissions to access contacts and you should now see contact names displayed instead of phone numbers. You might want to close WhatsApp and relaunch it again to see the change. Found it useful? Leave your feedback and comments. The steps verified on WhatsApp version 2.17.351 on Android 7.0.